The die-cut scrap is brightly colored and embossed, showing roses and forget-me-nots behind a hand holding a shell with a painting of a sailboat. 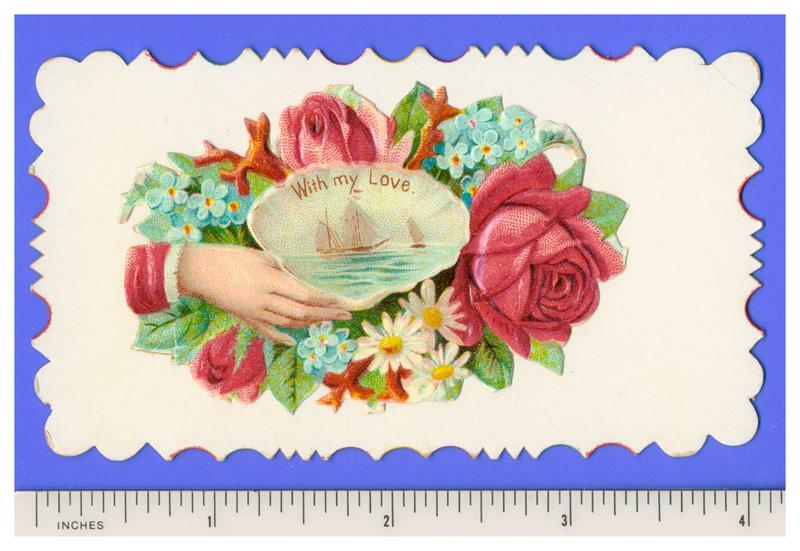 The card has scalloped edges and measures approximately 4-1/8 x 2-1/4 inches. The visitor's name is printed on the card under the scrap. Both the card and the scrap have only minor wear. Except that the upper right corner of the card is bent. See images.